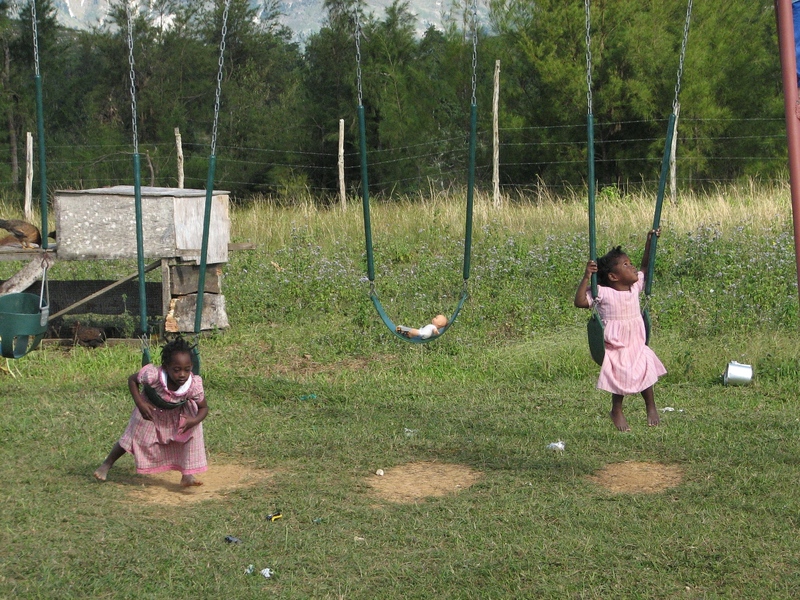 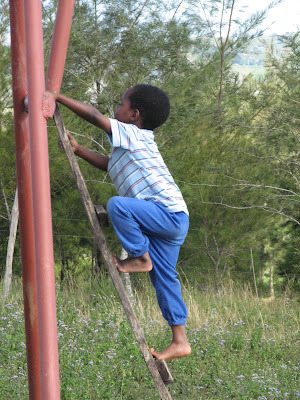 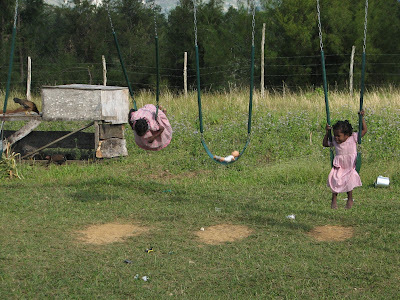 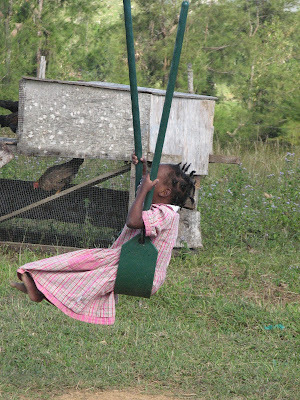 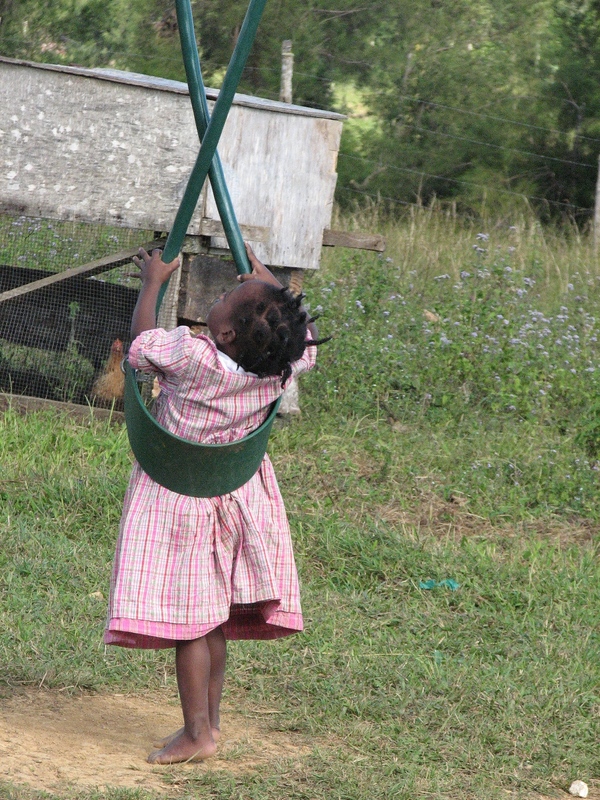 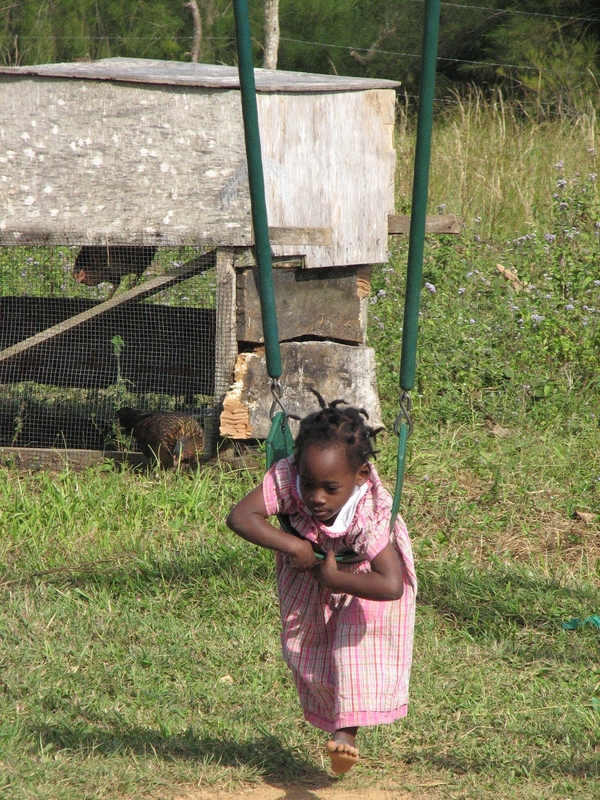 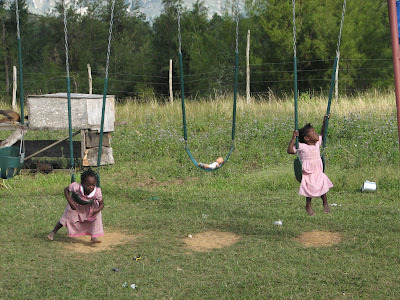 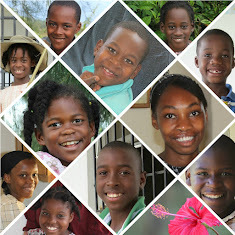 Life In Haiti...: Swinging Fun! 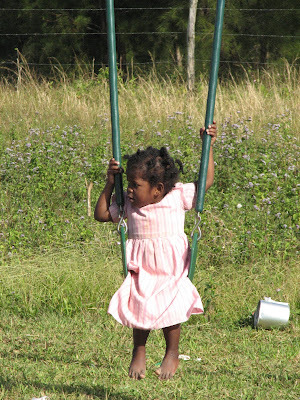 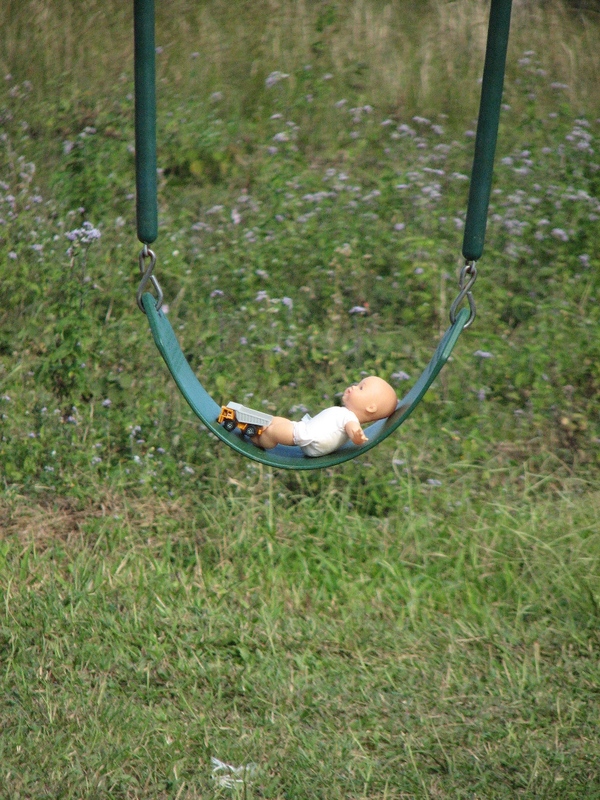 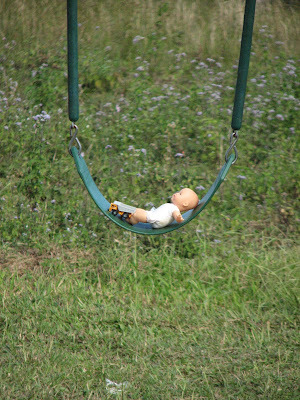 I was amused to see Elaine out playing on the swing today with her doll occupying the swing next to her! 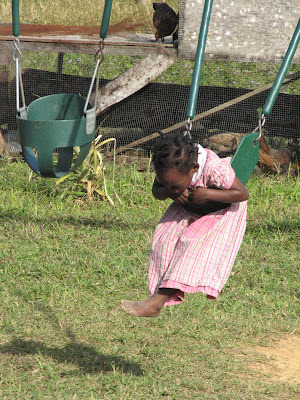 It was fun just to sit there and catch all her stunts on camera!